Why are you thriving when I’m barely surviving? In general, prolonged levels of stress and feelings of insecurity in new graduate nurse work environments are an expected part of the transition experience; yet we continue to see high rates of emotional exhaustion leading to burnout. Those reporting experiences of emotional exhaustion have demonstrated a higher risk for acquiring mental and physical health conditions. In an attempt to understand how unique life experiences and contexts of new graduate nurses interplay to enable or disable their ability to engage in the process of self-actualization as novice nurses, a qualitative study in B.C. was undertaken in 2017. There are a handful of contextual factors that educators and employers can facilitate to promote the ability for novice nurses to go beyond surviving their first year of practice. This webinar will discuss the study findings and the current literature with the aim of empowering educators, employers, and novice nurses with the tools required to thrive in their new graduate role. To provide participants with the most up-to-date information on the most influential factors that will enable them to thrive in their nursing career. While the information applies to all nurses, the study focuses on new graduates. Understand the key developmental and contextual components of our childhoods that affect our ability to thrive in adulthood and thereby our nursing careers. Outline strategies that enable participants to garner the necessary developmental skills that will better enable them to thrive in their novice nurse role. Review and discuss the most influential undergraduate curriculum components that promote thriving in the novice nurse role. Review and discuss the most meaningful employer support components that promote thriving in the transition from student to novice nurse. Understand the implications of the current literature and this study for educators, employers, and novice nurses. Shannon joined VIU's BSN program as a sessional faculty member in 2013 and became a full-time faculty member in 2014. She has worked in various capacities related to nursing over the last 16 years. She has experience as a certified emergency nurse, forensic nurse, palliative care, and multiple public health programs from frontline through management. She has consulted as a program development specialist and continues to work at the bedside via her forensic nurse examiner work. 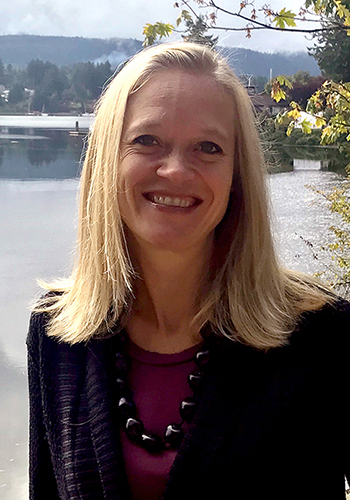 She pursued her Master in Public Health while working in the United States at Oregon Health and Sciences University and is currently completing a doctoral degree at the University of Calgary in the Adult Education program.